Any clinical rotation site can be intimidating-from meeting new staff members, working with different nurses, and getting to know your patients. However, when it comes to your clinical rotation in psych nursing, it is a whole different ballgame. Learn what’s different about clinical rotations in psych nursing. Psych nursing is a wonderful sector, but not everyone is cut out for it. For those of you who have never worked in a psychiatric unit in a medical setting, this can be quite overwhelming, exciting, uncomfortable, and intimidating. One thing that differs from other clinical rotations is your attire. You won’t be wearing your normal scrubs; you will be wearing street clothes—usually business casual (but could vary depending on your program). This is because some patients can become distressed at the sight of traditional hospital uniforms (scrubs). Many programs will not even permit dark color nail polish, dangling jewelry, wearing your hair down, or the use of pens/pencils during clinical rotations in psych nursing. Patients can become agitated at the sight of color (especially if they have a history of trauma or abuse), or others may try and grab your hair or use your pen as a weapon. The bottom line here is that all these restrictions are for the safety of both you and the patient. It’s important that you look professional without being distracting. As you go through your clinical rotation in psych nursing and start learning about your patient’s history, it’s very easy to empathize with what they have been through. This can take a toll on you, especially if you yourself have been through a traumatic experience, or have friends or family members who have mental health issues as well. Know that it’s okay to opt out. Nursing instructors are usually understanding if you need to take a short break off the unit to get some air. It can get intense, especially when patients are agitated, and it’s normal for nursing students to get uncomfortable if a patient is screaming, yelling, or attacking another patient or staff member. It’s also important to understand that for some of these patients, this unit is their home. It’s a safe place for them. When their routine is switched up, and nursing students are on the unit, it can cause some tension with the patients. The good thing is that some psychiatric units continuously have nursing students throughout the year, so these patients are used to the it—and for the most part, they seem to like it. Psych nursing is a great experience, but depending on your program, you can spend anywhere from 4 – 12 weeks on the unit. It’s important to experience as much as you can and interact with the patients simply by talking to them and participating in their activities. It’s important to heed your nurse supervisor’s advice when it comes to avoiding talking about certain topics. Depending on the patient’s diagnosis, certain things may act as triggers. Reading the patient’s chart will provide you with great background history on the patient, but the real learning will come from your interactions with the patients and nursing staff. 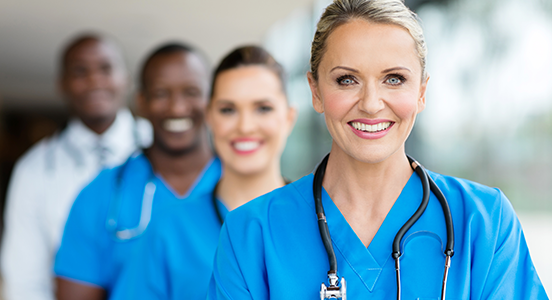 Though challenging, psych nursing may prove to be one of your most rewarding clinical rotations, whether or not you end up pursuing it as your career.